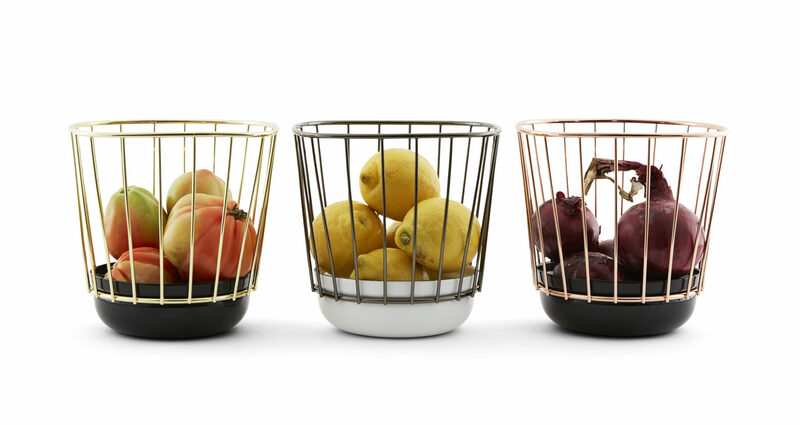 Canasta reinterprets the craft wooden baskets used to store or carry many things from food to other items. 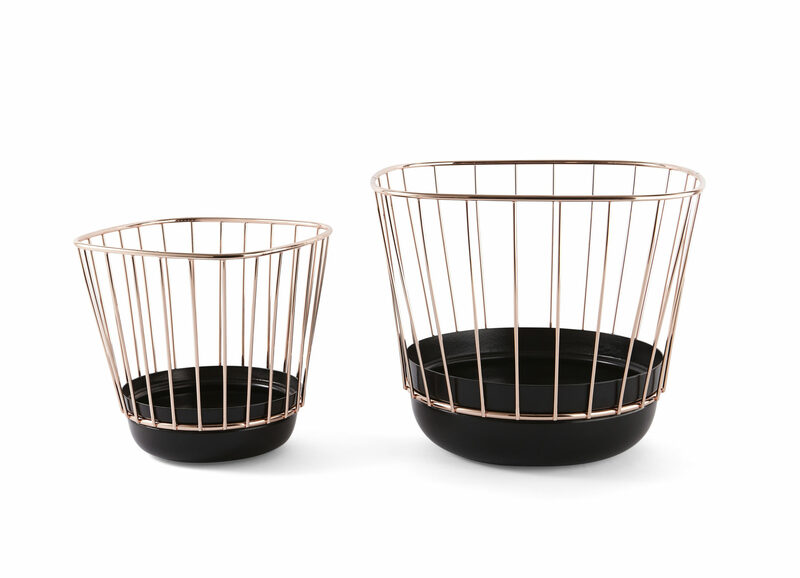 After the experience made playing with metal wire with Muselet we liked to match two elements with even more accuracy. 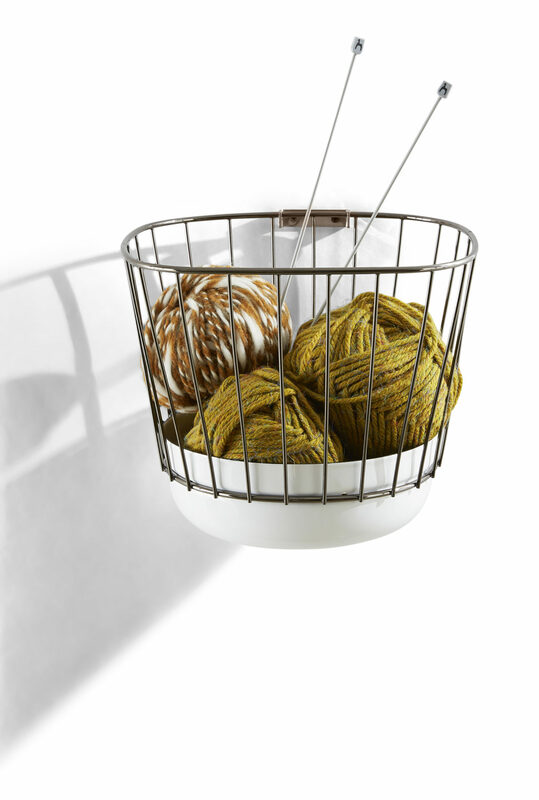 The result is a spun metal bowl and a metal cage that fit together with a pleasant “click” sound. 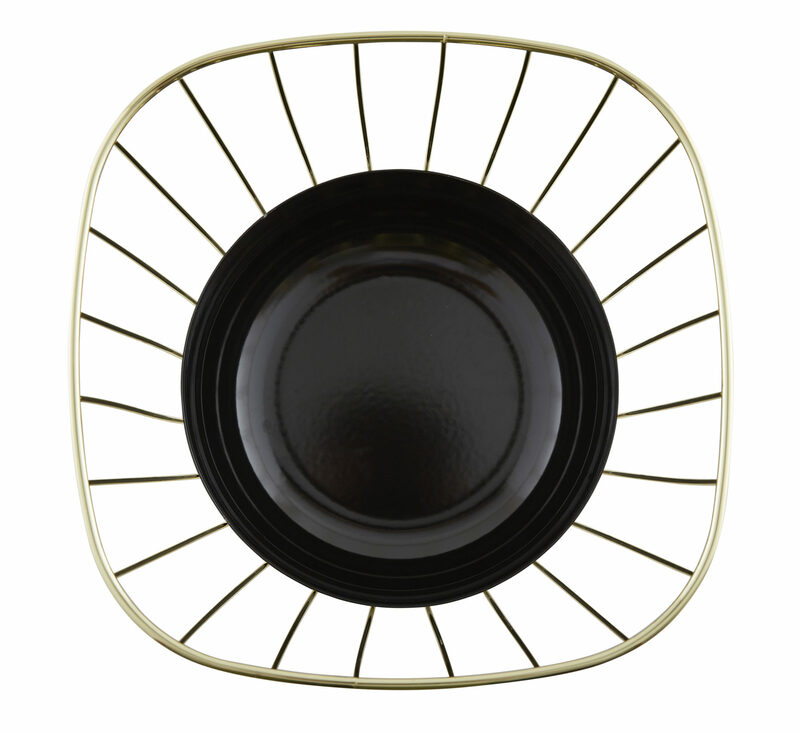 The bowl is covered with white or black enamel to avoid scratches while the cage is galvanised in various finishes.